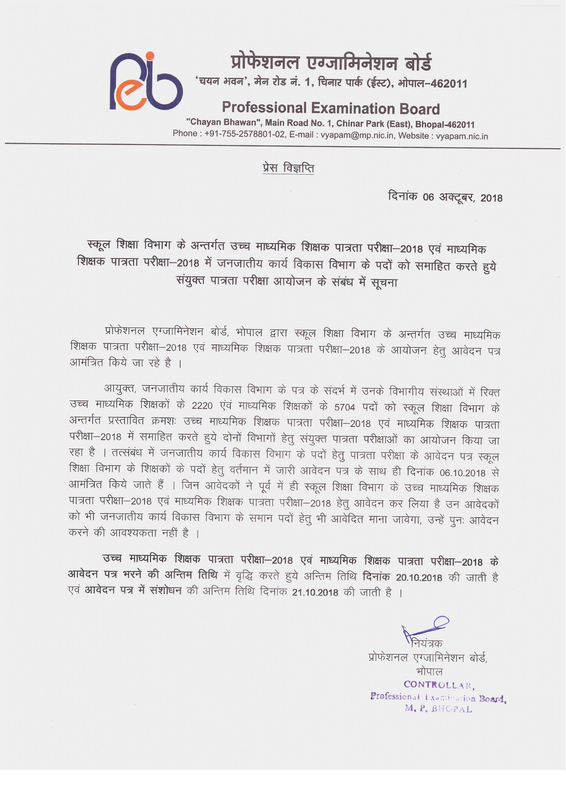 Latest Updated Dated 12.09.2018:- MP Vyapam has Started the Online Application process for High School Teacher (उच्च माध्यमिक शिक्षक) Recruitment. Candidates can Apply Online now from the Link given Below……. B.Ed with the Master’s degree in second class in the respective subject Or its equivalent. Rs. 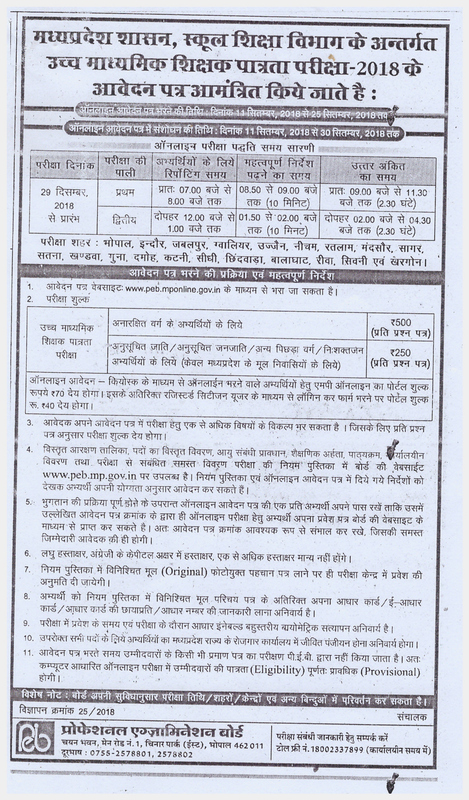 70/- For Submitting Application form Through MP Online Kiosk and Rs. 40/- (With GST) for Submitting Application form Personally will be Charged for Portal from All Category Candidates. what is the cutt off marks for high school peb exam for commerce subject? varg 1 ke admit card ki jaankari dijiye. aapki sabhi jaankari bahut upyogi rehti hain. Am pursuing my B. ED degree. Can I apply for this job?